If you have chipped off just a small piece of tooth enamel, your dentist may repair the damage with a filling. If the repair is to a front tooth or can be seen when you smile, your dentist will likely use a procedure called bonding, which uses a tooth-colored composite resin. 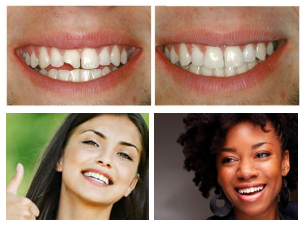 Bonding is a simple procedure that typically does not require numbing the tooth. To bond a tooth, the dentist first etches its surface with a liquid to roughen it and make the bonding material adhere to it. Next, the dentist applies an adhesive material to the tooth, followed by the bonding material. After shaping the bonding material to look like a natural tooth, the dentist uses an ultraviolet light to harden the material.